"Our sense of right and wrong seems especially keen when we are raising our children. Innate in almost every parent is the desire to teach his or her children moral virtues. This is part of the miracle of Heavenly Father’s plan. 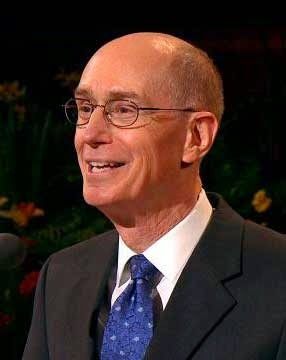 He wants His children to come to earth, following the eternal pattern of families that exists in heaven. Families are the basic organizational unit of the eternal realms, and so He intends for them also to be the basic unit on earth. Though earthly families are far from perfect, they give God’s children the best chance to be welcomed to the world with the only love on earth that comes close to what we felt in heaven—parental love. 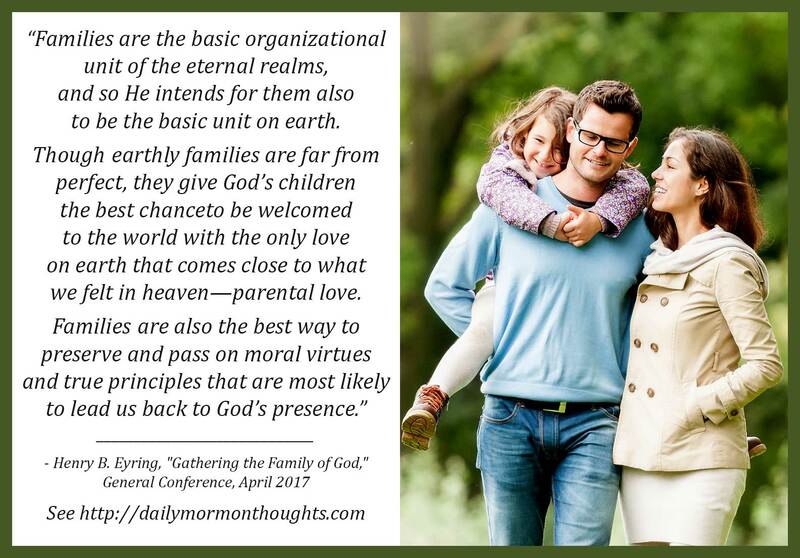 Families are also the best way to preserve and pass on moral virtues and true principles that are most likely to lead us back to God’s presence." This was the opening address at the Saturday morning general session of the recent conference. President Eyring talked about the family of God, which we are all part of as brothers and sisters together. There was much encouragement to help us in family history research. But I appreciated his thoughts, shown here, about the eternal importance of our mortal families in God's plan. The role of parents is so critical; the gifts and helps that come to them are divine and can be a real blessing. I think the enhanced "sense of right and wrong" that comes to parents as they are striving to teach children moral values is a great example of that divine endowment. God's great desire is for "His children to come to earth, following the eternal pattern of families that exists in heaven." The love of parents for their children is "the only love on earth that comes close to what we felt in heaven." What a beautiful, inspiring thought!